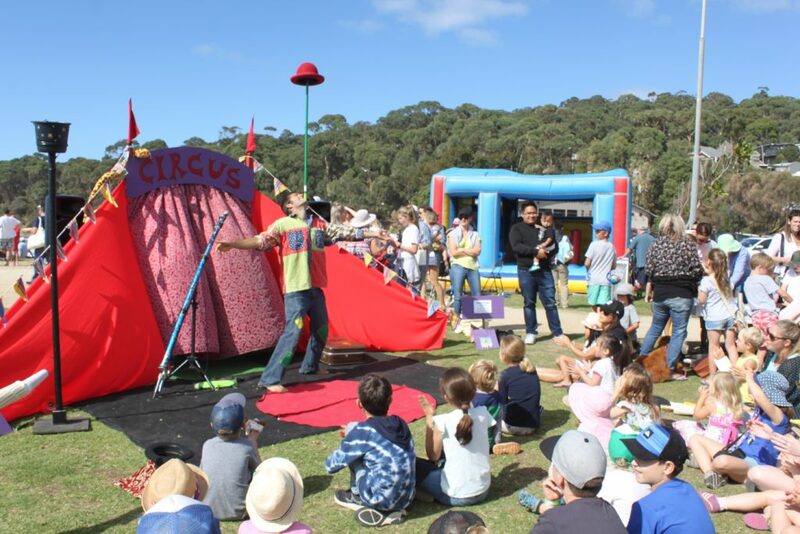 Pako Festa will host over 60 groups performing across six stages on the day! To preserve and maintain the culture and traditions of the Croatian people is the aim of the LADO group, comprised of junior, middle and senior dance groups, a traditional choir plus, a junior and senior traditional ‘Tambrica’ orchestra. Lado has also toured Croatia and surrounding countries several times and they have recorded traditional Croatian songs and international Christmas Carols. These CD’s will be available for purchase at the Croatian stand in West Park at Pako Festa. The talented Serbian Folk Dancing group are dedicated to performance excellence, with some students starting to dance as young as three years of age. Numbers are expanding every year, with dancers divided into three different age groups of young, intermediate and senior levels. Don’t miss these well- accomplished, delightful performers. 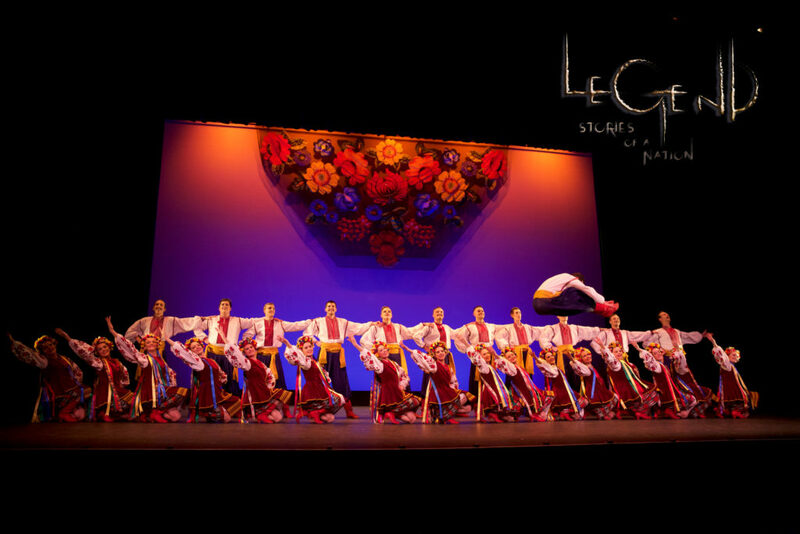 Lehenda Ukrainian Dance Company is based in Melbourne with a dancers also coming from Geelong. It is made up of 35 dancers who perform with pride, passion and embody the true soul of Ukrainian culture. The strength , beauty and grace of Ukrainian Cossack dancers, combine to give you the contagious energy, spectacle, colour and spirit that is, Ukrainian dance! Since it’s beginnings in 2014, the company has shared Ukrainian culture through dance by performing regularly at many mainstream festivals, events and private functions They have also toured Nationally and Internationally to Northern America with their first full length work ‘Kazka’ and nationally in 2018 with their second full length production ‘Legend – Stories of a Nation’ also being performed at GPAC on March 3rd. An excessive indulgence in sensual pleasures, direct from the French Quarter of New Orleans. The ever secret ‘Circus Society’ is inviting you to their exclusive flamboyant parade. Drawing infuence from the city of New Orleans and the best party on earth, the Mardi Gras. These infamous loose street festivities were hosted by secret societies competing to uphold the most illustrious party in their quarter. AfterDark Theatre is proud to present ‘Society’. A high octance tribute to Bourbone Street and the wild nightlife of the French Quarter. 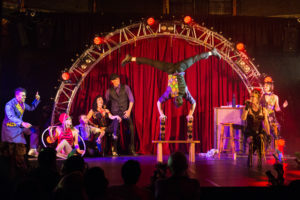 Nothing is off limits in this circus cabaret. ‘Laissez le bon temps rouler!’ Let the good times roll! The Greek Community School of Geelong has approximately 50 students divided into Junior School, Middle School and Senior levels. Based at Matthew Flinders Girls College, the school meets every Tuesday from 5-8pm to learn the Greek language, cultural studies and dance. Students learn dances originating from various regions of Greece and their colourful national costumes also serve to represent these regional dance origins from across Greece. 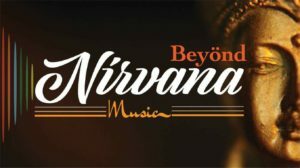 Beyond Nirvana Music Aus is a Melbourne based group ranging from a typical Bollywood style to classical music, from Ghazals to regional languages music and consisting of some of Melbourne’s quality singers and musicians. Led by Kunal, they have performed at many cultural events throughout Victoria and next to leading Bollywood stars and singers when they have come to Australia. La Cumbiamba and La Cumbiambita is a Colombian folkloric dance group that aims to share the richness of Colombian culture through their traditional dances and the accompanying music. Performances are vibrant, energetic and colourful and the dancer’s repertoire includes rhythms originating from the Atlantic Coast, The Pacific Coast, Andes Region and The Amazonas of Colombia. Geelong Memorial Brass Band Inc. The Band was formed in 1946 as a living memorial to the fallen in both world wars, and is very active within the community, playing at many events and functions throughout the Geelong and District region. The Band is always looking for new members, and if you would like to join just contact the secretary Colin Whitehand on 04 2795 8946 or call in on any Wednesday night rehearsal from 7:30pm at Centenary Hall, Cox Road, Corio. See them play during the parade commencing at 11am. The Andalucian Dancing Group has had the privilege of performing at Pako Festa for the past 36 years and performing here remains one of the highlights of their year. The group consist of three age groups, the younger group is aged between 4 – 8, the medium group is aged between 9 – 15 and the senior group ages range from 16 and above. Andalucia would like to welcome anyone that wishes to learn the Flamenco Dance from beginners to Advance both adult & children. The Bosnian Lily-Geelong Association Inc was founded almost 10 years ago and is made up of several interest groups including traditional crafts and social groups ‘Bezistan’ (Beh-zee-stun), a fishing group and a pensioners group. There are also two dance groups, a traditional folk dancing youth group ‘Bosancice‘ (bo-san-cheetze) and a children’s dance group ‘Bonbonice’ (bon-bon-ee-tze)’ both of which actively participate in local, state and interstate community events. The current membership is predominantly people with a Bosnian background, but the association is open to those who enjoy friendship, laughter and like minded people gathering together. A quirky Spanish Latin Band from the surf coast in Victoria, this 3 to 8 piece band is the perfect dance partner for all venues and occasions. 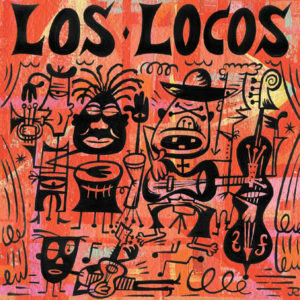 Los Locos is made up of some of Australia’s top musicians and fronted by Michael Martinez, this bands unique take on classic Spanish and Cuban songs as well as their original music is a guarantee to great vibes and lots of dancing, the band has been performing all over Victoria for over 15 years, in a range of settings from weddings to festivals. Melbourne hard rock outfit Riff Raiders began life in 2015 belting out B-sides and obscure gems from the hard rock legends that inspired them. 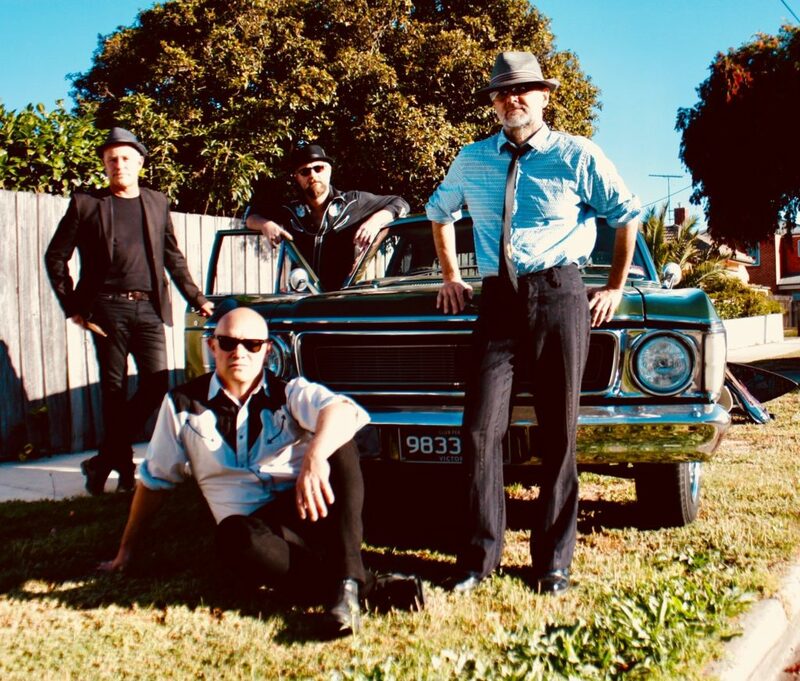 Made up of indie stalwarts Marty Powell (guitar) Jenni James (Vocals) Simon Gunn (Bass) and Chris Quinlan (Drums – yes of Ch31 Melbourne Musos fame), this band has blown away punters with its authentic approach and edgy finesse to playing rock n roll. 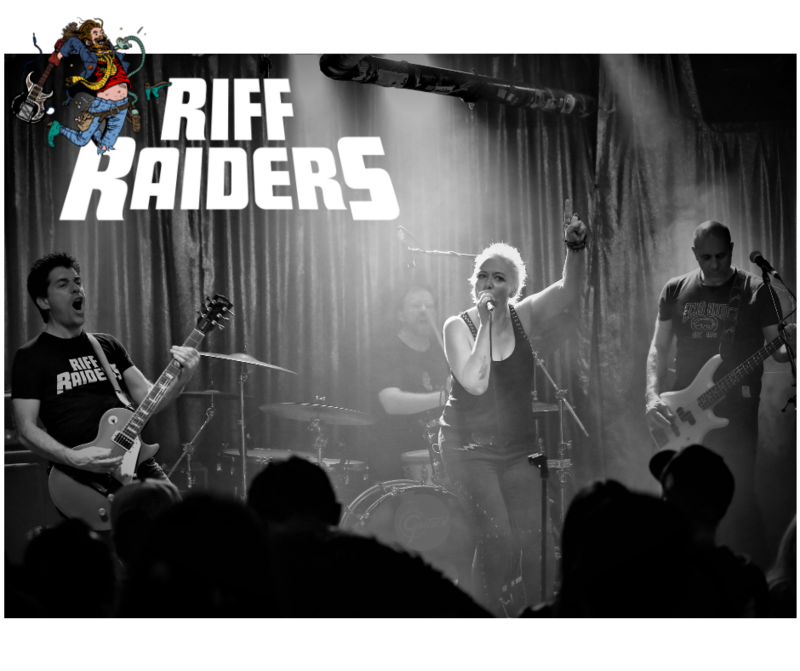 Riff Raiders are a female-fronted rick band from Melbourne that has been performing regularly since the release of their debut album Live Like You Mean It in November 2017. The have secured major support slots with the Palace of the King and the Baby Animals. Venezuela’s rich culture manifests itself in endless ways and without any doubt dance is one of the most beautiful and authentic expressions of our people. 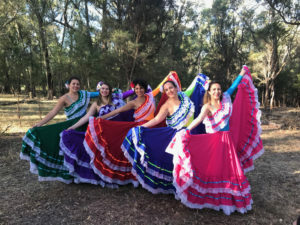 Since 2013, Caribay Dance Group has taken on the mission of showcasing the most representative Venezuelan dances to Australian audiences, while sharing the treasure of this knowledge with all the established communities in Australia therefore adding up to the vast multicultural heritage of this country. Check out Fun Arts and their Roving Entertainment along the Street. 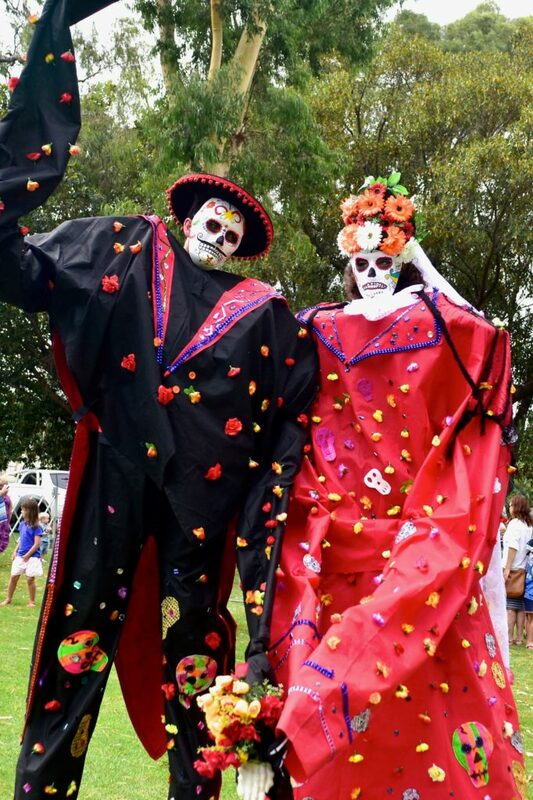 This is a wedding party inspired by the Mexican day of the dead. They are accompanied by Los Torros loosely translated as “the Bulls”. 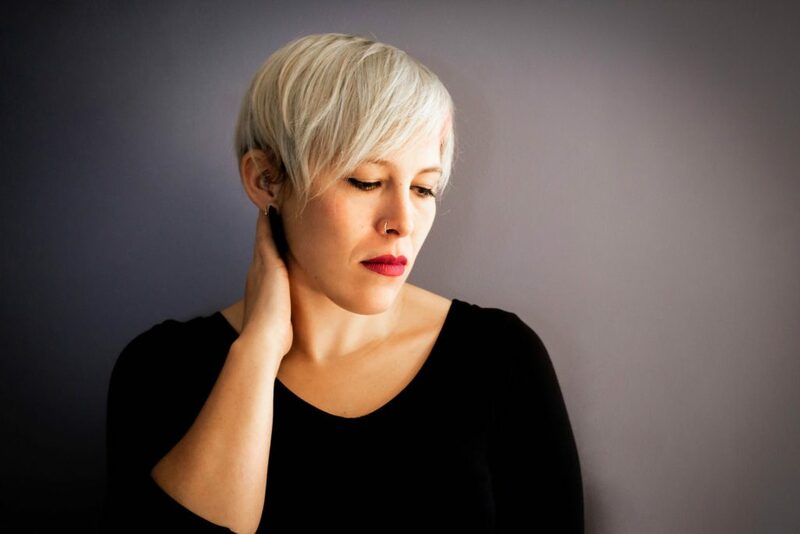 Paige Duggan’s approach to jazz is raw and honest. Revelling in jazz as an art-form with experimentation, improvisations and risk central to the approach of every song; her style offers many surprises. 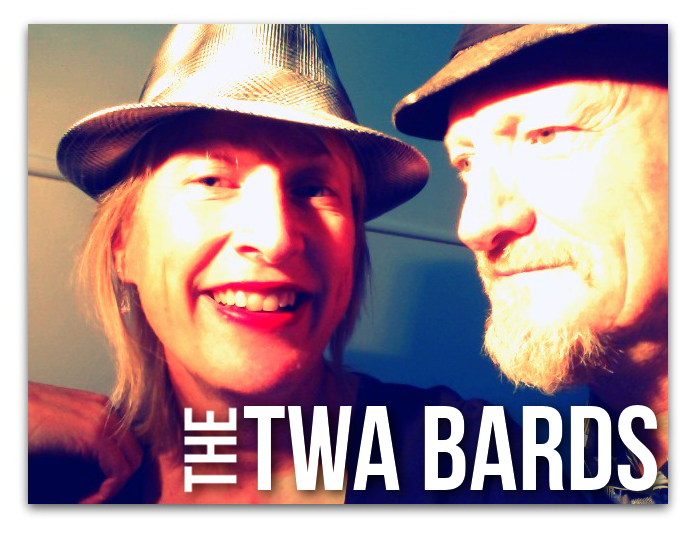 Joined by guitarist Ben Calderazzo and Michelle Scully, the trio perform jazz standards including swing, latin, ballards and jazz-blues in a space which drifts between mainstream and contemporary styling. They present jazz as an exploration of stores which evolve across an array of moods, with moments of fluidity, quirkiness and humour. 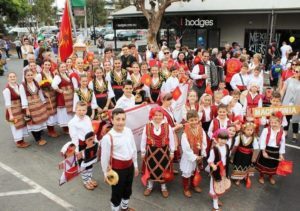 Geelong’s Lithuanian Linas dance group have participated in every Pako Festa parade since its inception, performing their traditional dances with an ensemble of dancers ranging in age from pre-school children to seniors. Their repertoire features lively village style dances of both classic and modern choreography. MKUD BISER is Geelong’s only Macedonian Cultural and Artistic Dance Group. They have been part of Pako Fest for many years and celebrated 41 years in Geelong. With over 40 dancers, they are growing every year. The Filipino Dance Group is part of the Filipino Social Club of Geelong Inc. formed in 1982. Their dance group currently comprises ten active members who have been busy preparing their ‘Bulaklakan’ cultural dance for the Pako Festa 2018 parade and stage performance. For a taste of Filipino cuisine, be sure to check out their food stall in front of St George’s Hotel at Pako Festa! 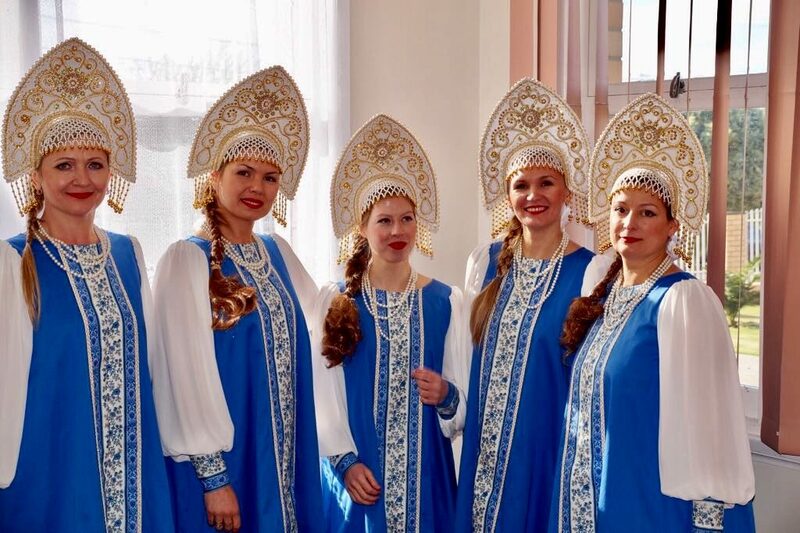 This newly formed group from the Russian Orthodox Community of Geelong are enthusiasts who enjoy traditional style of Russian dancing. The Quick Sixes play toe tapping surf tinged rock n roll, blues & garage rock. With influences ranging from 60’s surf instrumentals, rockabilly, garage rock The Quick Sixes play primal energetic rock ‘n roll ….they’ll get your toes tapping quick time! Lorem Dias was born in Brazil and as a teenager found his purpose as a Capoeirista. Lorem has been playing Capoeira for 24years of which 20 have been teaching throughout Europe, South America, Africa and Asia. He moved to Australia in 2003 and brought with him a passion to make a difference in young people’s lives. 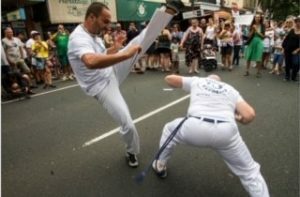 His professional breakthrough occurred in 2011 when he was recognized as a modern teacher of Benguela and was the first person to bring this technique and style of contemporary Capoeira to Australia. Lorem is the founder and leader of Ijuba Capoeira, which has affiliations all over the world and has been instrumental in developing Capoeira throughout Australia. Music plays an important role in Capoeira and Lorem is a talented artist and composer. His debut Capoeira album “Mare de Luanda, Cantigas de Capoeira” was released in August 2012 to favourable reviews and he has featured on Fox Sports, radio stations and television commercials. Don’ s definitive Scottish brogue, rich vocal performance and rhythmis fold guitar alongside Angela’s rich vocal harmonies and instrumental variations combines like chilli and chocolate … haggis & whiskey! 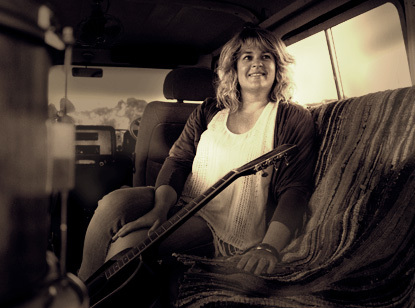 Angela has classical roots that pretty quickly loosened up into folk and funk styles along the way. Her love of music, its possibilities, its stories, its colour, its connections are evident in their arrangements. The Greek Connection have been playing a wide range of Greek popular music together or about 8 years, and features the bouzouki playing and singing of Ilias Maniatakis who was born and raised in Crete. The other two members of the group are guitarist John Hughson and music educator Sue Buchan on Piano Accordian. The Geelong Bollywood dance Group offers Bollywood dance performances and workshops at private special events. They also have regular Bollywood dance classes and offer private Bollywood dance lessons. Their entertaining dance performances combine traditional and contemporary choreography with colourful, glamorous costumes. 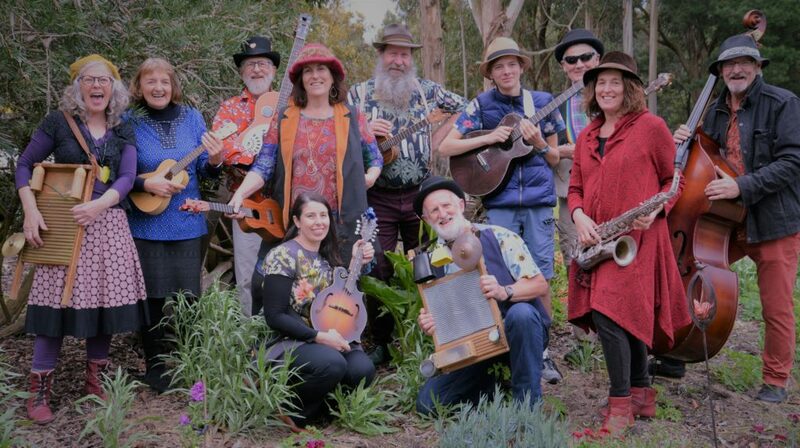 Musike D ‘Jour are a happy band of musos who love to entertain all ages with a bouncy, foot tapping mix of blues, jazz bluegrass folk and country music. They love playing in the street at festivals and are winners of various busking awards and have played at festivals all over. They love to get out audience young and old to join us sing along.